We provide a wide range of advice and information relating to life after acquired brain injury. Our team of Headway professional advisers are able to advise clients however occasionally we are required to signpost to other organisations. 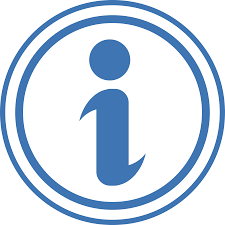 Information about the effects of brain injury: a range of fact sheets and booklets are produced by Headway UK which cover every aspect of brain injury and these are for people with a brain injury and also their families, carers and professionals working in with brain injured clients. Legal information: covering personal injury, medical negligence, family law, criminal matters, mental capacity, employment law and others. Our expert professional advisers will endeavor to answer any queries you may have. Welfare benefits advice: including ESA (Employment and Support Allowance), PIP (Personal Independence Payment), Attendance Allowance, JSA (Job Seekers Allowance), Universal Credit, Housing and CTAX benefits and many others. Our expert professional advisers will provide you with a benefits assessment and advise on the claim process. Rehabilitation: we are able to advise you about local provision and how to get referred for rehabilitation. Care and support: we can advise on the process of obtaining a care assessment from your local authority. Everyday concerns: we can provide advice on everyday concerns such as dealing with bills and appointments. If you need advice you can contact us by telephone on 01772 791460 or via our helpline 07557 123 493 or via email: services@headwayprestonandchorley.org.uk.